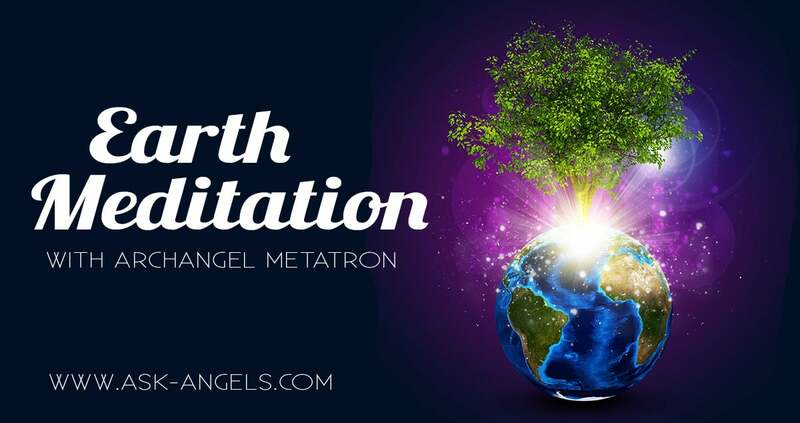 I'm happy to share with you free Earth Meditation Archangel Metatron! In this Angel Message you will be guided to connect directly with Divine Source energy, with the love of the angelic realm, and with the healing love and light of the earth realm. As you simply relax and listen, you will be guided to a place of direct connection with Source, where you can directly access powerful healing, love and manifestation assistance. 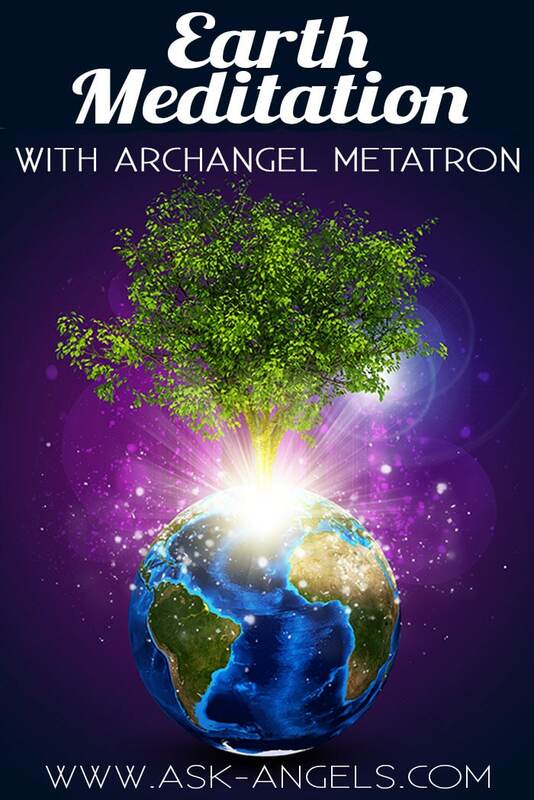 Archangel Metatron will help you connect with the eternal light of Source Energy and of Mother Earth to strengthen your connection with your empowered authentic self. Or The Earth Sanctuary Meditation here! Or, simply Right click the link below and ‘Save As' to download a copy of this .MP3 Earth Meditation now! Or keep reading, to access this angel message which has been transcribed for you below as well! I invite you in joining me now, in taking a deep relaxing breath as you begin to focus inward. Find your center. Breathe, and now imagine light flowing down through the bottom of your feet into the core of the Earth where you find there is more light. Allow your energy to become one with this energy of Earth. Notice your connection now to All That Is. Feel your oneness with the Earth that you are a part of. And now imagine that this light from the core of Earth begins to flow up entering now in through the bottom of your feet and quickly flowing up your spinal column opening and activating each of your chakra energy centres all fully opened in a state of Kundalini, and now imagine that your light continues to lift up and out of your crown chakra and into the light up above the universe, above the lights taking you directly to the creator of All That Is. Enter into this realm of existence, of source of love, of healing bliss, and from this place connected to the creator of All That Is, I now invite invite the highest, most loving possible guide that can most serve us at this time, please come in connect, and channel through me now. “Welcome, indeed beloved, I am here, I am Metatron and I greet you with the utmost love and respect, for you, beloved one, are an essential part of the whole, of all that is. You are an essential part of the magnificent divine design of creation, in your physical body and in your spiritual form. Indeed you exist on many realms, many many dimensions of existence. You are far more than simply a physical being and you are far more than simply spirit. Ans this exciting time in which you live presents openings, incredible opportunities for you to re-remember, and for you to unite with your full and authentic self. From this connection, you are able to claim your full power, in spirit, in the physical realm, and in the many other realms of existence you are a part of. When you are attuned and in tune with these realms, you are able to connect with great healing, wisdom, and manifestation ability. And yet it is important to know that each realm in which you exist is also subject to its own conditions, rules, laws and commitments. To tune in to the healing of the realms without tuning into the challenges, the simple process in which you used to connect with me now, can be repeated and focused upon the realm which you desire to connect to. In this very moment here and now, the universe supports you in developing a healthy relationship to the Earth realm. The elements that make up Earth in her raw and beautiful form: the soil, crystals, minerals, rocks, clay, sand, and mountains, Earth. To tune into the healing energies available to you from this realm we will walk you through the process once more, of first connecting to the infinite light and presence of the Divine, All That Is. Breathe, relax, and begin to focus your awareness within. 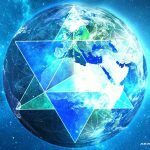 Imagine your energy grounding unto the Earth, your light flowing down into the core, and as this happens, feel your energy merge with the Earth, triggering the remembrance that you are one with the Earth plane. You are one with Earth. Feel this unity, this love, and now let the light from Earth flow up through your feet quickly activating all your chakra energy centers and continuing up out the top of your crown chakra (at the top of your head). Lift up in vibration and go up into the light. Up, up, up into the light to connect directly with Source, with God/ Goddess, Divine, All That Is. This Divine Source Energy, God. Goddess, Oneness, Love, is not confined or limited by any religion or one belief system, but rather is encompassed by all. Connect directly now. Feel the presence and know that this place offers you incredible healing energy, light and well-being. You are in direct communion and connection with Source, All That Is, and in this moment, at this time, feel your oneness with it. Feel the love, oneness, connection and Divine well-being of this very moment, now. And now we together, ask God, Goddess, All That Is to safely and lovingly connect us with the Earth realm, the first plane, the Earth core in its raw form and function. Feel your connection now to the Earth, your oneness with this Earth Realm. Know that the many realms of existence weave and intertwine to create All That Is. And so each realm represents different physical and emotional aspects of the Divine, and different aspects of you, for you too are one with the Divine and one with All. Where there is divine order and perfect balance within a realm there is health, well being and vitality within you. The Earth realm contains the minerals of existence. Know that as you are able to effectively absorb minerals, you are in balance with the first realm. If your body is lacking minerals, there is an imbalance within the first realm. This can be healed through opening and allowing emotional support and structure into your life. Taking time to physically re-connect with the Earth also serves you greatly. To walk upon the soil, put your hands and feet into the dirt, reunite with Earth; this provides support from the physical realm, indeed heals your emotions and can re-program your body to absorb minerals for your highest and greatest good. From this place where we are now, connected to All That Is and connected to the Earth plane, to the crystals, rocks, sand and soil, feel your connection and your oneness with these two realms – Divine Source and Earth. Breath, relax, and allow healing to flow into your body. Healing from Prime Source and healing direct from the beautiful planet on which you live. Breathe, relax and absorb the healing from the first realm. There is indeed a mineral for every illness and disease. The Earth indeed contains the blueprint of perfect health and well-being. If you are finding that you are out of alignment with perfect health, allow in the healing light from the Earth plane, that will most serve you now, for the highest and greatest good. Allow the healing energies that most serve at this time, from the first plane and from the creative realms to unite with you with love and with light, for emotional well-being, for physical vitality, and for spiritual health. Imagine light spiraling all around you as you witness and observe this your connection with the physical realm and with Divine Creative Source and as you observe and witness instantaneous healing, and balancing. As you return to center, return to perfect balance, return to love, you are emotionally supported, you are deeply and intensely loved. All that you need is provided for you in the physical or spiritual world. Remember to be open to the many blessings, and as you directly connect with Source, as you ground to the Earth and as you open your chakras, go into the light and connect with the Divine, with Prime Source Creator, with God/ Goddess, and from this place, all that you need, all healing all love, all knowledge, and all wisdom is easily attainable, lift and open to it. Then intend, request, ask for the healing you most need and then be willing to see it occur, instantaneously and profoundly. For healing light and love, healing from the Earth and healing from the heavens, healing for the spiritual, mental, emotional and physical surround you now. You are surrounded with an orb of light and love, of healing from the divine realms. Breathe this healing light in, including healing from the minerals, crystals, the rocks, clay, the sand… Healing light from the Earth. Let healing flow in and all around you. Envisioning healing surrounding you in an orb of light, and now imagine that this orb of light begins to lower down and all this love of the Earth, of the Creator, of All That Is, that you are connected to, that you are one with, begins to lower down. Let the healing light and love pour down into your crown, let it open your third eye, your throat, your heart, your solar plexus, your sacral, your root, your Earth Star Chakra, and now ground all this energy into Earth, offering Earth healing, respect and love. Letting your energy merge once more with the light at the core of the Earth. Feel your connection to All That Is, and now once more let this light come up through your feet, a column of light cleansing your physical body, flowing all the way up to your crown chakra, and when the energy gets to your crown there is a break, the energy clicking into place… Completion. Return your full awareness now back in your physical body, where you are refreshed and recharged. You are connected always to Source, to the angels, to light to love, and also to the Earth. When you are in a state of being, centered, clear, calm: calm mind, open heart, willingness to be aware and to observe, then the many blessings of many realms are made available to you from your alertness, awareness, and intention all things are possible for you… You are presented with a new beginning, a new opportunity. Write, intend, choose for yourself what blessings you wish to weave into your experience. Connect with Source, Creator of All That Is, ground, open, lift, and return to direct presence with Source, with God, with Creator and from this connection, intend what it is your heart desires. Whether it is a dream home you are manifesting, well being and health, a new job, prosperity, or even…fun, friends, a new pet, what do you desire? Plant the seeds when you are directly connected to Creator, so that they are grounded into the Earth and are able to instantaneously, effortlessly, manifest for the highest and greatest good. Dearest, you are so dearly loved, I am Metatron and I leave you with my blessing and with the reminder that you have the ability to directly connect with All That Is, from this connection from this power all realms of existence and their healing properties are open to you and your full power in light in God in spirit to connect to your authentic self, to create the life of your design, of your dream for your highest good. I am Archangel Metatron, I leave you with many blessings, now is the time for you to claim your power to create, with Earth and with the Creator, unite these two forces in your heart and flow love into your experience, this love is unending, it serves you always to accomplish your highest good. And when you give love you shall live love, where you send love you open yourself to receive love ten fold. You are so loved, you are so loved so loved so loved. I leave you with my blessing, goodbye for now. Thank you for reading this channeled message by Archangel Metatron. Grounding Your Energy Is Key! Thank You, that was an extremely beautiful meditation, I can honestly say I felt and seen wonderful feelings and visions during the meditation, I have spoken to Metatron on many occasions and it is beautiful to have him guide this experience. Thank you from the bottom of me heart I am truly grateful for this journey. Yay… So wonderful to hear! With many blessings of love and light!